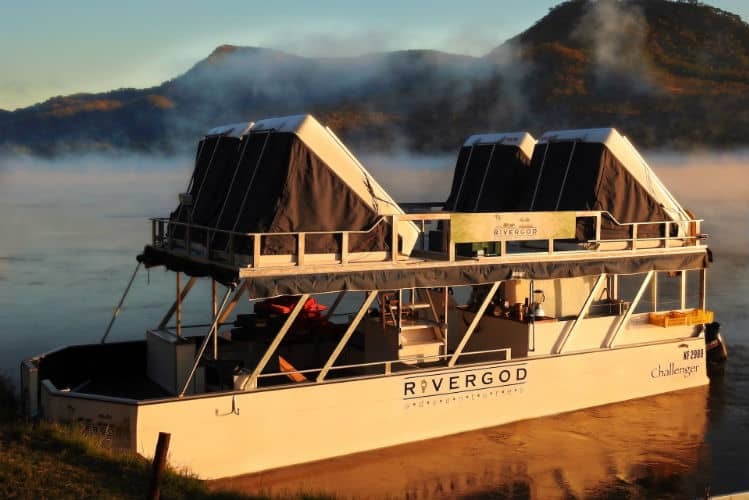 River God Adventures is a unique floating safari experience down the Lower Zambezi River from Chirundu to Kanyemba on custom made boats equipped with all the necessities to make you feel comfortable and safe. Spend 5 nights or more exploring this vast and remarkable section of the Mighty Zambezi as your drift for 210 kilometres past some of the most breathtaking vistas in Africa. Game view directly from your own private vessel, fish for the elusive tiger fish, observe the plentiful bird species of the region, walk amongst elephants and lions, or simply relax with a book whilst taking in the sights and sounds of the beautiful nature surrounding you. River God Adventures owes its inception largely to co-founder Cyril “Squirrel” Meredith when he and 3 others embarked on the first adventure in 2011, which took them from Kariba Dam wall to the Cahora Bassa Dam wall. 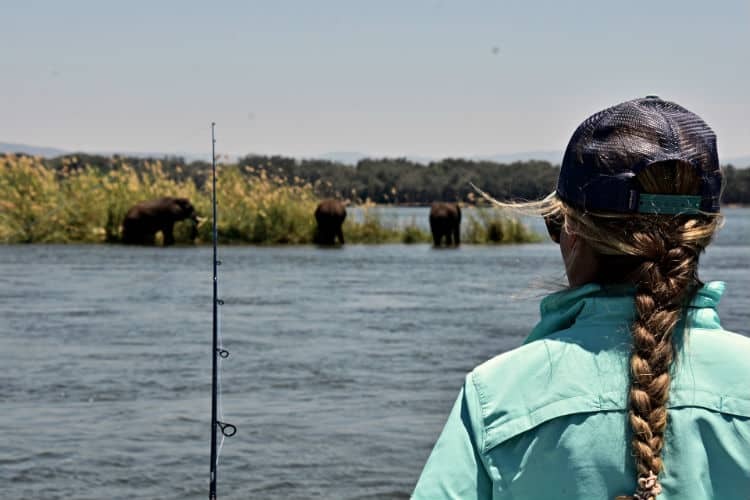 This maiden trip sparked a concept that would encompass the true spirit of adventure and fishing whilst set in the most game rich section of the Zambezi River – it was a dream that had to be shared with others.